Last week was a bad one on local roads. 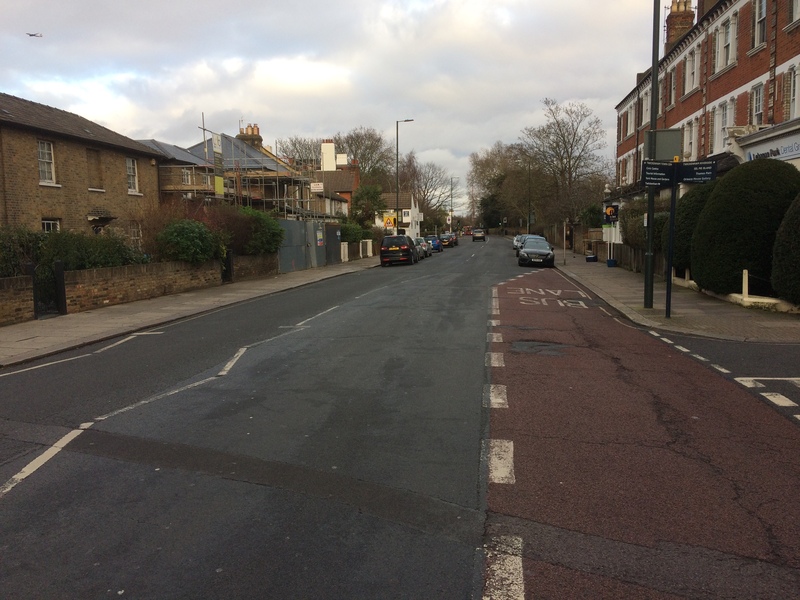 On Wednesday 23rd at around 1.30pm a 19 year old man was taken to hospital with head injuries after being hit by a car in East Twickenham at the junction of St Margarets Road and Richmond Road. The Richmond and Twickenham Times reports that the driver of the car, a silver 5-door VW Golf or Polo failed to stop and that the police are seeking witnesses to this hit and run and more information to help identify the vehicle. The paper describes the injured pedestrian as being in a critical condition in hospital. On the evening of Monday 21st January, a cyclist was hit by a car on Richmond Road near Montepelier Row in what @stevolaughton on Twitter described as a “serious looking collision” while on Friday 25th another cyclist was involved in a collision with a car also on Richmond Road. Ambulances attended both events with buses being put on diversion up Crown Road. These incidents raise questions of road safety just weeks after the end of the Council’s consultation on a borough wide 20mph speed limit. Several commenters on social media also pointed out the lack of good cycling infrastructure in the borough. Fair points, but it’s not just all about speed limits and infrastructure. In December a cyclist was sent flying, yet again on Richmond Road, by a car turning right across a lane of stationary traffic by York House. The cyclist was in the bus/cycle lane (OK, so it’s not a dedicated cycle lane) and the driver cut across it. Just be careful out there people and keep your eyes open! In a further incident, also on Monday 21st, a cab driver suffered a cardiac arrest in his vehicle and hit the hoardings by Twickenham station. A member of the public performed CPR and the driver was taken to hospital where he is recovering. No one else was injured. (And if you think Twitter is just for angry rants then you’ll be heartened to learn that the the social media platform was able to track down the person who assisted with CPR so that the driver’s family could thank her and others for helping out). We hope the injured all recover quickly. None of these accidents were anything to do with speeed. No doubt it’ll fuel more 20mph propaganda! Collisions which have nothing to do with speed; another first for Twickenham! As a cyclist, car driver and pedestrian it looks like there were errors made by both the cyclist and the car driver. The cyclist should have ridden more defensively – just because the bus lane is clear doesn’t mean it’s safe to ride down alongside the stationary traffic at normal speed. You have to ride knowing someone may cross through the line of cars. Equally the car driver should have been more cautious and nudged forward until it was clear to cross, but it isn’t possible to know the lane is clear until at least a part of the car is across the bus lane. You see the same behaviour by bus drivers – at 30mph in bus lanes next to traffic or people in the exit lanes of motorways next to stationary traffic. You should be defensive and slow down even if your lane is clear, whether you are a bike, motorcycle, bus or car – so you can stop if someone crosses your lane. You might be legally in the right but it would be better to avoid the accident in the first place. Right – I am one of those middle-aged men, though not in lycra, who likes to commute to work on my bicycle. I have cycled since I was 6 growing up in Denmark, cycling is a natural part of growing up and getting you from A to B in a safe and fast way. However I have very rarely been cycling on the Richmond Road to East Twickenham because it is not a safe route. I cycle form Twickenham to Kingston everyday and feel reasonably safe. I see cyclist jumping red lights a few times a week. I see cyclist cycling on pavements a few times per week – though some pavements are ‘shared spaces’. But never seen any cyclist causing damage to anyone else – very unlike the piece above where cars are the perpetrator. Maybe it would help us all if car drivers drove with caution that a cyclist might suddenly turn up out of the blue or turn your stiff neck ad check and be 100% sure no cyclist or pedestrian are about to cross your way. Maybe Think Bike isn’t just about moterbikes. Maybe car drivers need to start think about THEY are in charge of a one ton metal box that can KILL others. Cyclists are a menace and many could do with an education lesson especially the lunatic who cycles up and down heath road shouting abuse to motorists! THE GIF was posted in a separate tweet and then the video was posted to show the actual real time incident. All three of these incidents are of course tragic and one wishes the best for all three individuals. I’m not sure whether the accidents involving the cyclists were in broad day light or at night but if they were at night then I would ask the question – Did they have lights? Apparently it is illegal to ride a bike at night without lights and yet how often do we witness this offence? Sadly more often than seeing a cyclist with lights. Come on cyclists do the right thing, the sensible thing and get some decent lights; you know who will come off worse when you meet a car……. Regarding the gif of the accident in December, the person who caught it with her GoPro confirmed at the time that the cyclist did have lights and was not going especially fast. This is cobblers. Every day I commute 13 miles each way into London and over all that distance I will see maybe one out of hundreds without lights. If there is a problem in London with bike lights, it’s not a lack of them but the number of dazzlingly bright ones or dizzying strobes orientated up instead of down at the ground but these are in the minority. my office is on richmond road and every day at least 2 or 3 cars leave the zebra crossing at Monpelier and fire off at 50 or 60.towards.richmond. the new 20 limit will do nothing about that. also in 10 years i have never ever seen 1 stopped by police. driver turning into Lebanon was in wrong for not checking traffic first. could have been a motorbike! However cyclist stupid for tanking it and not slowing and being ready just in case this happened. There was a further incident on Friday evening, when another cyclist was knocked off outside Orleans Park school. If anyone knows the condition of the cyclist from Monday’s incident, I wonder if they could let me know. When I passed, ambulance and police crews were already in the scene, but he was still lying in the road, looking very poorly. I frequently cycle on Richmond Road, where motorists often drive significantly in excess of the speed limit, and very often using their mobile phones. I have repeatedly asked the local police to step up enforcement action on this very dangerous stretch – more needs to be done. There was also one more on Heath Road opposite Screwfix, cyclist knocked off on Sat 19th at lunchtime.